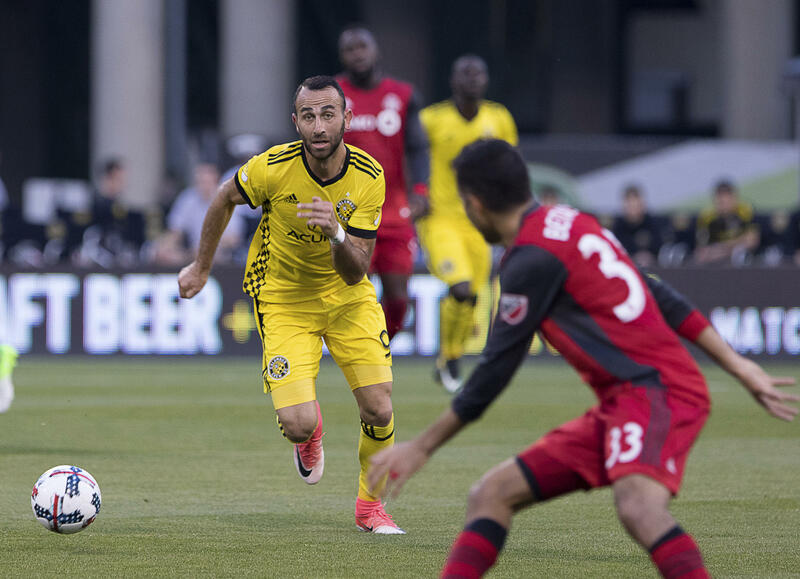 Columbus Crew midfielder Justin Meram chases down a ball against Toronto in May at Mapfre Stadium. The Crew host Toronto on Tuesday in the first of a two-game conference final. The Columbus Crew is in the midst of a playoff run that could land the team in the Major League Soccer Cup. But rather than enjoy a great season, Ohio’s capital city and the Crew's ownership are at an impasse that could mean the team moves to Austin. That would be a dream for one fanbase and a nightmare for another. “It’s just been kind of crazy,” said Morgan Hughes, one of the organizers of the #SavetheCrew social media effort to prevent the soccer team from leaving. Hughes has lived in Columbus his entire life. He became a Crew fan the day it was announced that the city would get the first MLS franchise. This season he has been watching his team beat some long odds to advance to the Eastern Conference Finals. The team is doing this while its owner, Anthony Precourt, is threatening to move the Crew to Austin. “I don’t know that Precourt Sports Ventures gave any thought to timing, but it certainly feels like we’re living the third act of a really good movie,” Hughes said. What Hughes probably has in mind are those sports dramas where the good guys pull out the win in the end, but we may actually be in the middle of the third act of a classic love triangle. "The absurdness of how similar we are – Austin is Columbus and Columbus is Austin on so many levels." Precourt bought the Crew four years ago from the family of legendary NFL owner Lamar Hunt. Hunt built the stadium – which, at the time, was the first soccer-only stadium in the U.S. – then handed it over to the city of Columbus. The stadium opened 18 years ago, but recently, Precourt lamented business conditions in Columbus that, he says, hamstring the team’s ability to compete with other MLS teams. To be successful, he says, the Crew will need a new stadium – built by the city. Mayor Andrew Ginther and Columbus Partnership CEO Alex Fischer met with Precourt and MLS Commissioner Don Garber on Wednesday with several proposals – one of which would have the city buy part of the team from Precourt. But there’s a problem: Precourt doesn’t want to sell his team. He wants it to make the kind of money that teams in Seattle, Portland and Atlanta are making. Columbus ranked 20th in the MLS according to Forbes’ 2017 list of most valuable franchises. The team brought in roughly half the annual revenue that the top teams got last year, and Precourt is hoping Austin could offer more revenue and a larger fanbase. “You know, it’s just got a lot of the boxes that MLS likes to check, but as they’ve mentioned previously, they’re more interested in where Austin is going and growing,” said Josh Babetski, the founder of the MLS in Austin Supporters Group. His group has been trying to lure an MLS expansion team to Austin. Precourt's announcement that he’d like to move to Austin, the largest U.S. metro area without a top-tier sports team, was unexpected. “I think it’s a real recognition of Austin arriving on that larger-scale-metro scene, as well as just a huge personal moment for somebody who has tried to will this into existence,” Babetski said. Austin has all the characteristics Precourt would like: demographics, population, culture. If you take a step back, it's a lot like Columbus. Another thing both cities have in common: Neither has a new soccer stadium near downtown, one of Precourt’s demands. 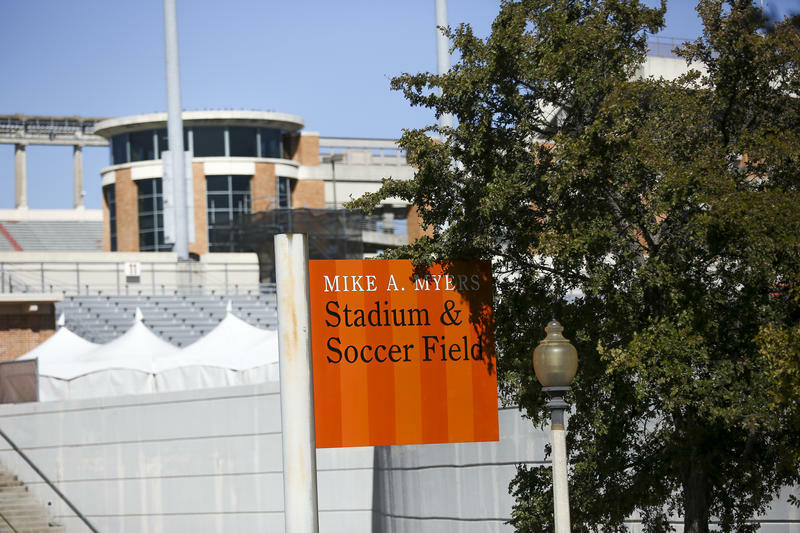 A Major League Soccer team could be on its way to Austin. Columbus Crew owner Anthony Precourt announced this morning that he plans to pursue the move if a deal for a new stadium in downtown Columbus doesn’t pan out.